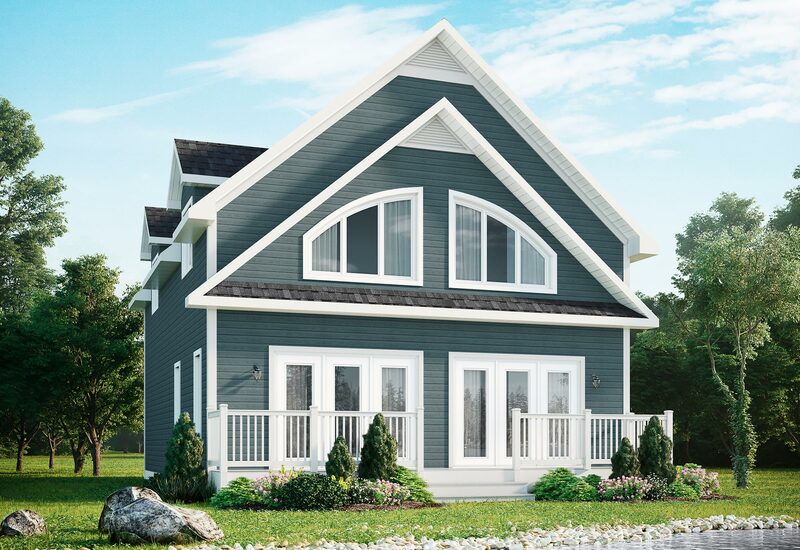 This cozy design captures all the important elements desired by many in a cottage model, including four bedrooms and a loft area. 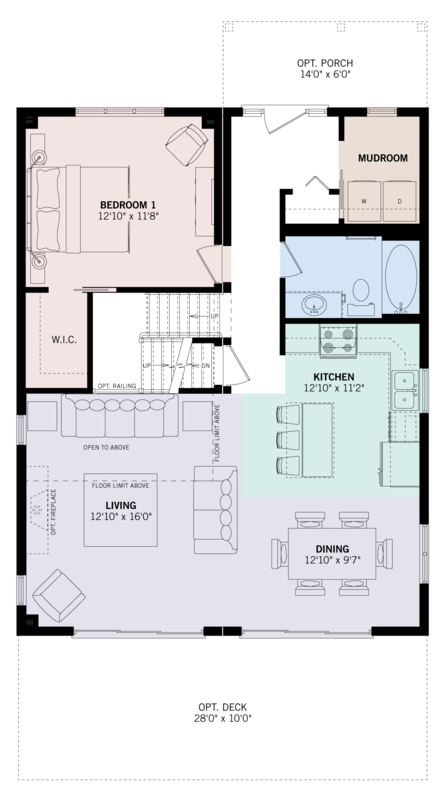 The master bedroom is located on the main floor with the main bathroom across the hall with a separate laundry room. 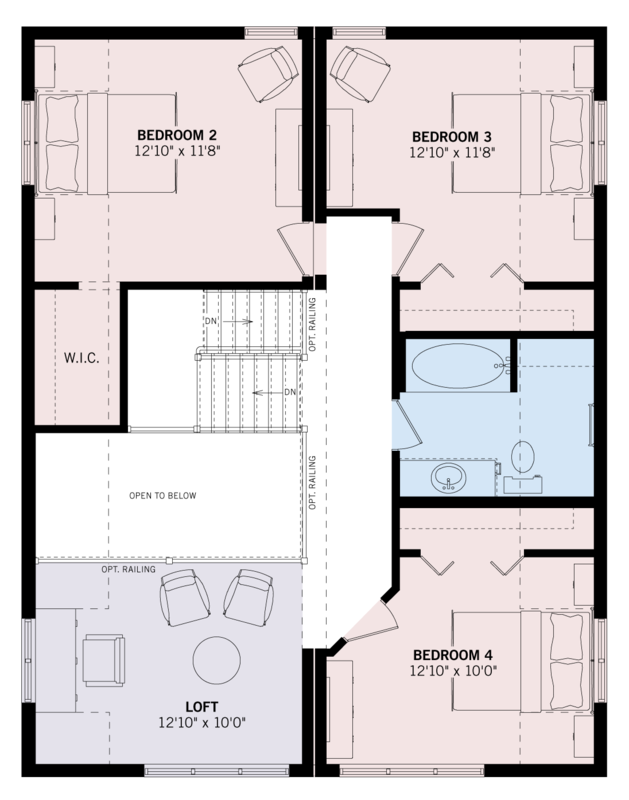 There are three additional bedrooms on the second floor with their own 3-piece bathroom, perfect for guests! The large eyebrow-style windows are the feature point of this cottage and they allow a flood of natural light into the living room in this “open to below” design. Enjoy the concept with the two terrace doors leading to your deck.